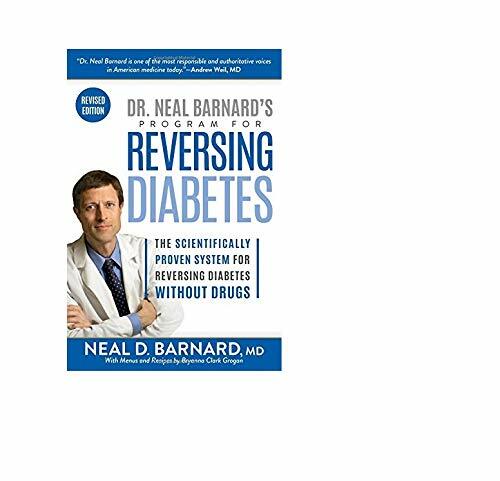 Product Description: Tackle diabetes and its complications for good with this newly updated edition of Dr. Neal Barnard's groundbreaking program. Revised and updated, this latest edition of Dr. Barnard’s groundbreaking book features a new preface, updates to diagnostic and monitoring standards, recent research studies, and fresh success stories of people who have eliminated their diabetes by following this life-changing plan. Before Dr. Barnard’s scientific breakthrough, most health professionals believed that once you developed diabetes, you were stuck with it—and could anticipate one health issue after another, from worsening eyesight and nerve symptoms to heart and kidney problems. But this simply is not true—Dr. Barnard has shown that it is often possible to improve insulin sensitivity and tackle type 2 diabetes by following his step-by-step plan, which includes a healthful vegan diet with plenty of recipes to get started, an exercise guide, advice about taking supplements and tracking progress, and troubleshooting tips.